If you happened to catch the November/December 2007 issue of PRINT Magazine — you can't miss it, I just received my complimentary copy in the mail today ... it's HUGE! — you might notice that lowercase L, among other "Strunk and White crowd" blogs, has been noted in the Obsessions section on page 298. Thanks to Caitlin Dover of PRINT Magazine, and Jeremy D. for his excellent lowercase L photo. A modest Mike Houghton doesn't want to take credit for having discovered this lowercase L in Seth Godin's blog. 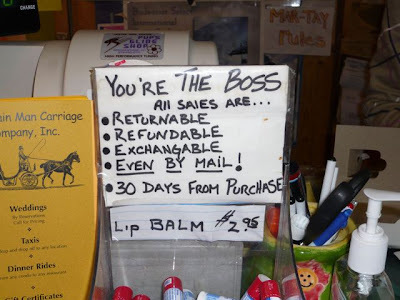 Now, Michael, Seth Godin may be a best-selling author, but it was you who recognized this All SAlES gem, and in my book, that makes YOU the boss! I have to admit, when I first came across your blog I thought "how ridiculous". I found it hard to believe there was enough lower case L mess-ups to justify a website. But your pictures told me otherwise; and then I guess my eyes were opened, because just two days later (today) I spot this perfect example on the corner of 43rd and 6th in Manhattan, NYC, just opposite Bryant Park. One of the best I've seen! Thank you, Carmen Nobel, for your informative article about the lowercase L epidemic in the Online Finds section of The Boston Globe today! 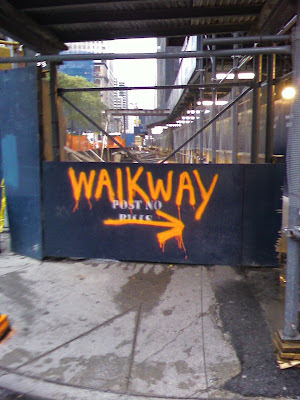 William Levin has a peeve, and it is this: Sometimes, when people create handwritten signs, they choose to capitalize every letter except the letter "L." It bugged him as a child, when he saw a sign for a "YARD SAlE." It bugged him as a college freshman, when his dorm mates made T-shirts advertising themselves as residents of "STONE HAll." It bugged him as an adult, and he decided to blog about it. 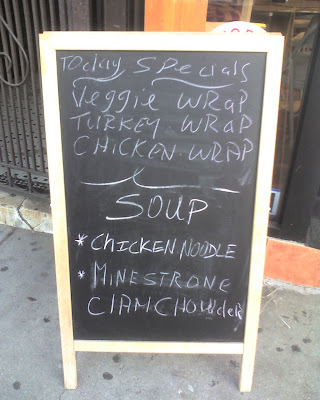 When I came across this menu board with my buddy Berger Boy, I was happy as a ClAM to learn that he had his camera with him, because I had forgotten my own. Paul deftly snapped this photo, featuring a shameful ClAM CHOWDER, before the restaurant staff realized their mistake. Aw, shucks! Adrian B. found this lukewarm lowercase L lager in Debrecen, Hungary, next to a shop door. 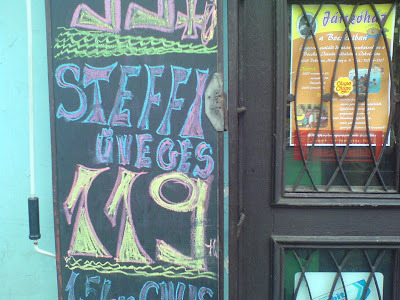 I've been informed that STEFFl is a well-known beer brand in Hungary, and calling the beer "Steffi" is a mistake only an American would make. I wonder how many guys have walked in thinking they could get a cheap date, only to end up stifled by Steffl? You know it's big news when not one, but TWO lowercase L readers submit the same lowercase L occurence. 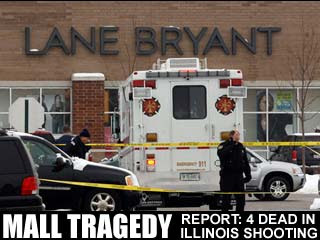 Today Fox News sadly reports that five people were shot dead in an Illinois mall. 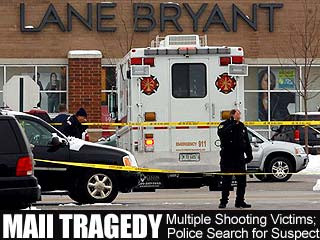 What's even worse is that the image supplied by Associated Press, labeled MAll TRAGEDY, was a real tragedy itself. But it seems that Fox News may be on top of their game after all, because moments after the image was submitted by both Rudy G. and Patrick Fitzgerald, FOXNews.com replaced the caption with a more appropriate uppercase L version (see below). I wonder if they caught it on their own, or if they received complaints from normal people like us? Alison P. spotted this sign at the Greenwood, South Carolina mall. Should the sign constructor be commended for his resourcefulness in substituting uppercase i's for lowercase L's if there was an L shortage, or should he be admonished for making the word COllEGE look dumb?